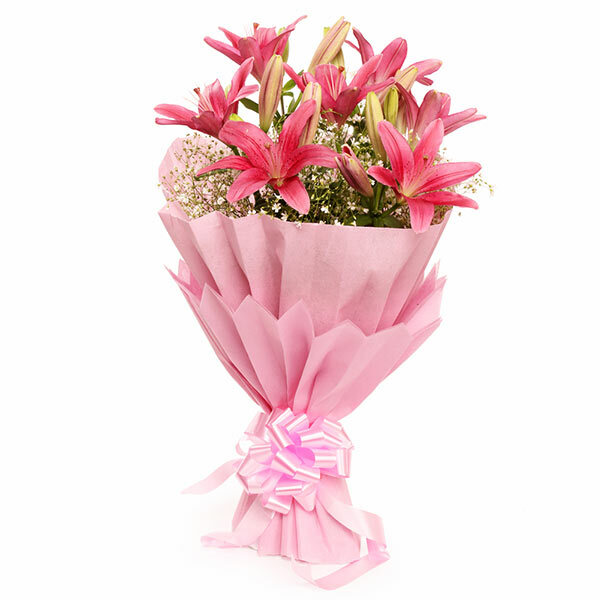 Anybody will be bowled by the outrageous beauty of these pin asiatic lilies which is tenderly draped in a pink paper packaging and can be presented as a heartwarming present to someone you love. 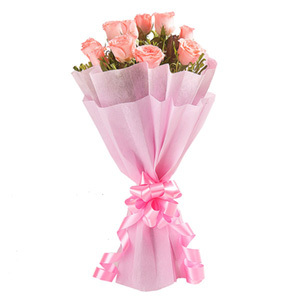 Bunch of 6 pink colour asiatic lilies in a 2 layer pink paper packing with pink ribbon bow. 5 Beautiful bunch of lilies. The pink lilies looked extremely pretty in the pink color packing of the bouquet. 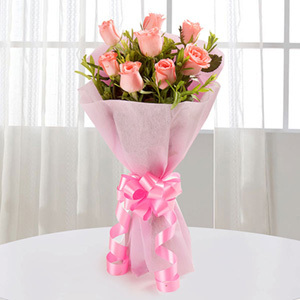 The quality of the flowers was good and the packing of the bouquet was incredibly done. Great work giftalove!